Tees have been slightly raised, enlarged and extended backwards to lengthen this hole. The stream passing the front of green 4 extends to a small pond visible from these tees as it flows in full view to the main lake. 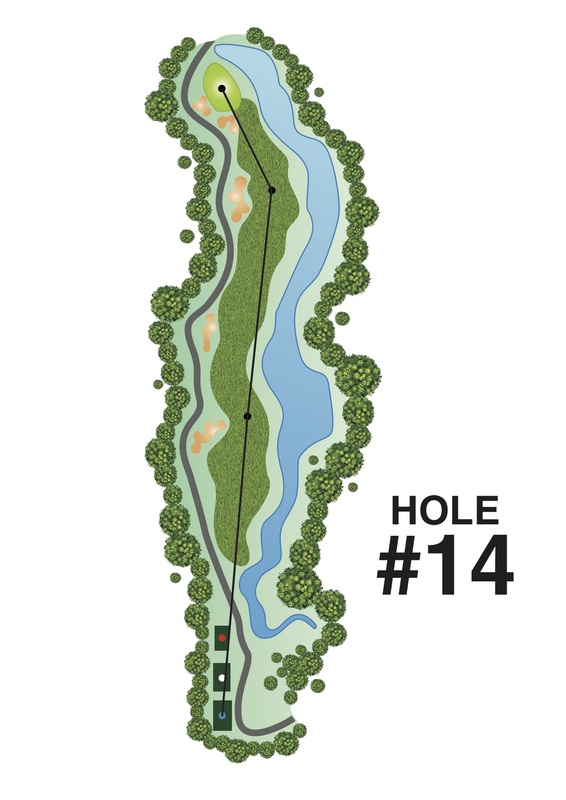 A small forest is planted between green 4 and tees 5. The stream is constructed to enhance the aesthetics and extend wild life habitats in this area. Part of the old lake has been filled to provide a wider landing area for most golfers. At the same time, this improves the boundary safety on the left side. Things are now tougher for the big hitter though the lake is widened about 250 metres from the back tee. Fairway bunkers are now more prominent and clumps of palm trees on the right will create more impact on the wide drives. An arboretum in the wide rough area located on the left of the fairway contains a wide variety of the species, each labelled to add to the knowledge and enjoyment of golfers. The new green is slightly closer to the pond with the rear section sloping away from the approach. This creates a more challenging play at the rear flag.